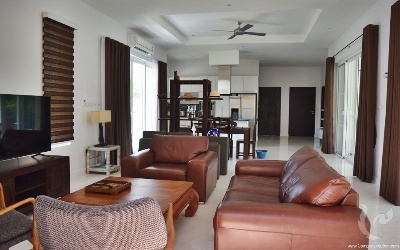 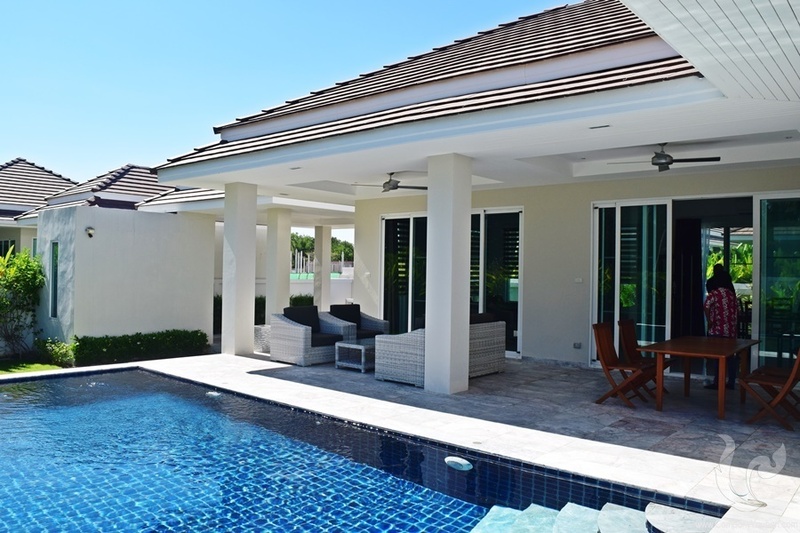 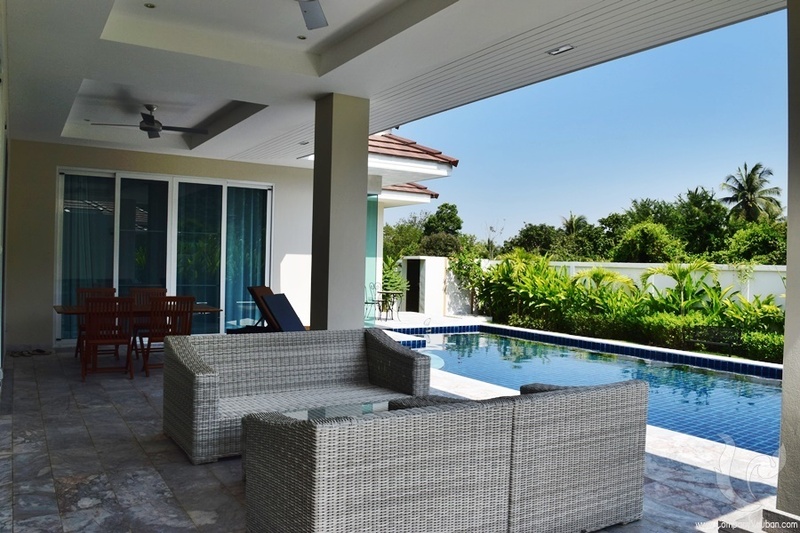 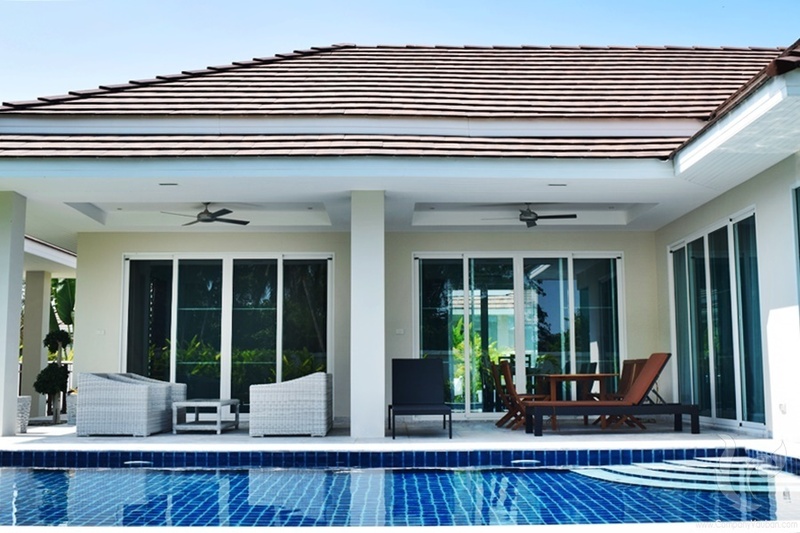 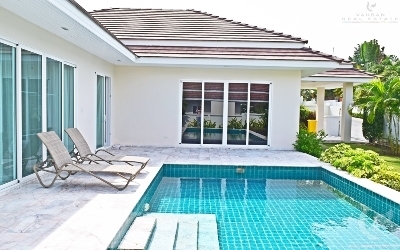 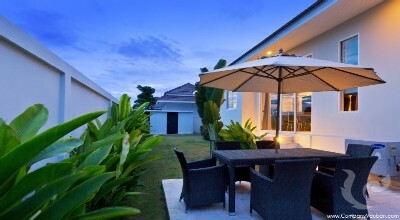 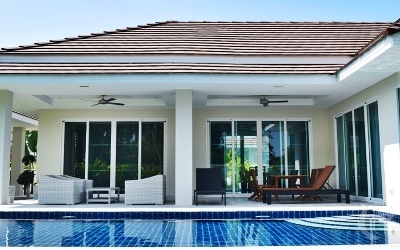 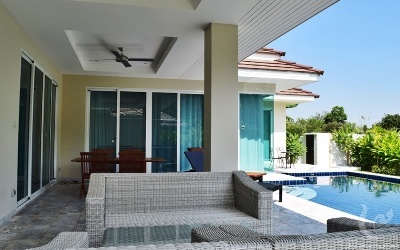 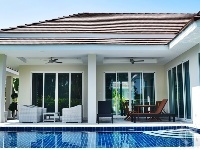 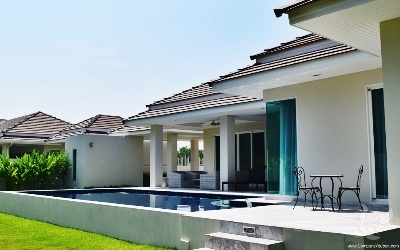 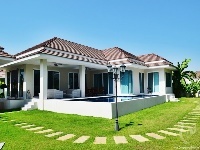 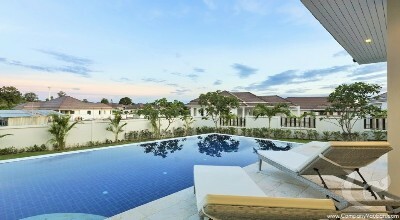 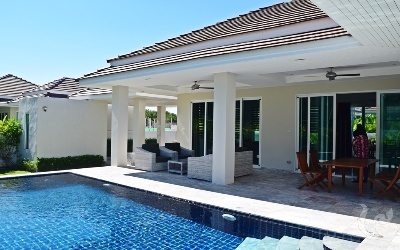 Private pool villa with 4 bedrooms & 3 bathrooms, land area 730 sqm. 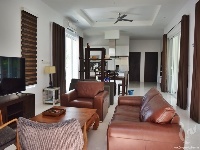 living area 165 sqm. 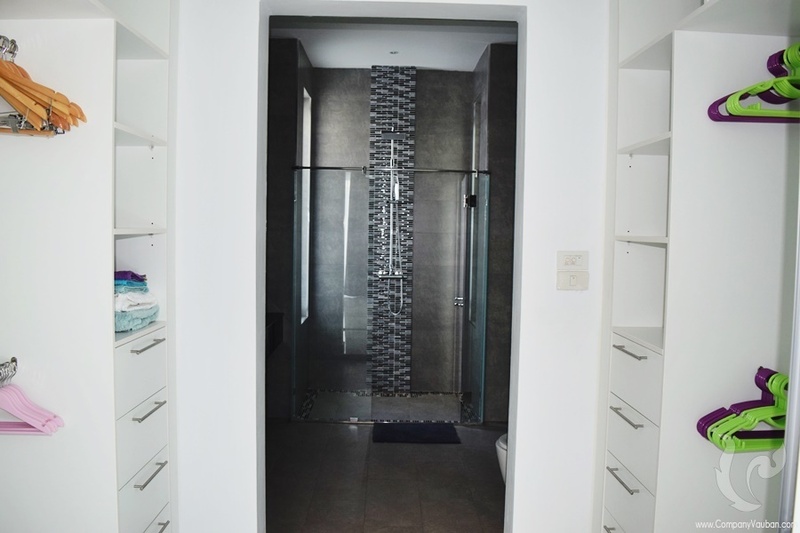 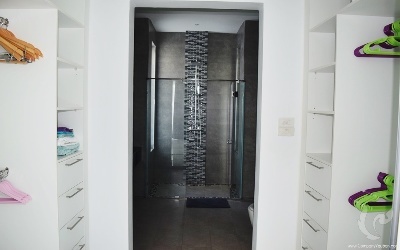 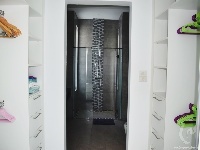 The villa provides each room with bathroom ensuite. There air conditioner and ceiling fan. 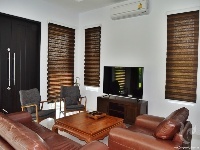 Separate working room and each room have a little balcony with tea table. 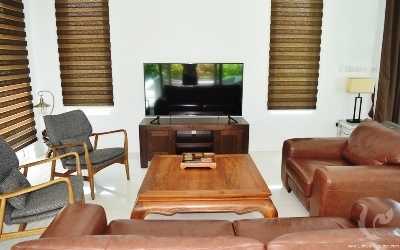 A large living area with comfortable leather sofa and flat-screen TV, Dining table available for 6 persons. 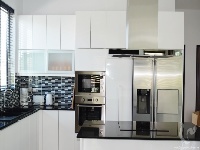 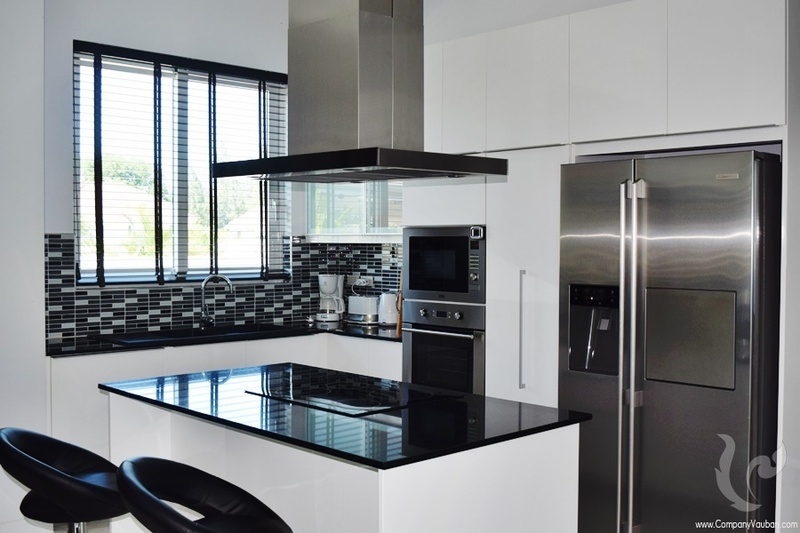 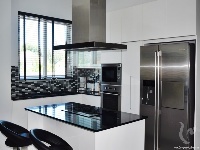 European kitchen modern style fully equipment such as 2 doors refrigerator, oven, microwave and dishwasher etc. Facilities: WI-FI connection, Smart TV, covered carport, electronic gate and shuttle 4 times by day start from 9 am - 6 pm. 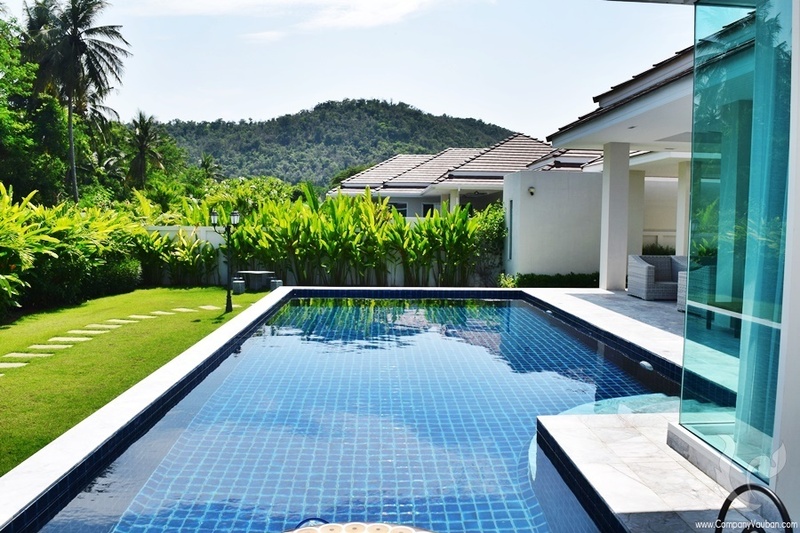 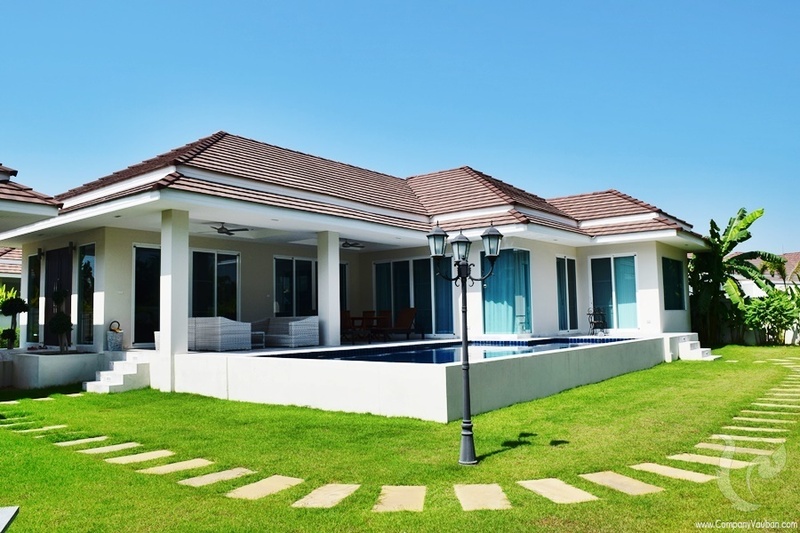 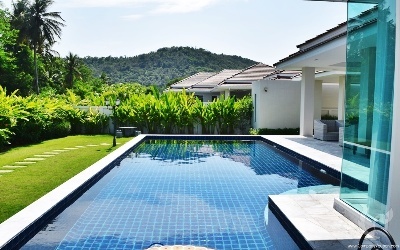 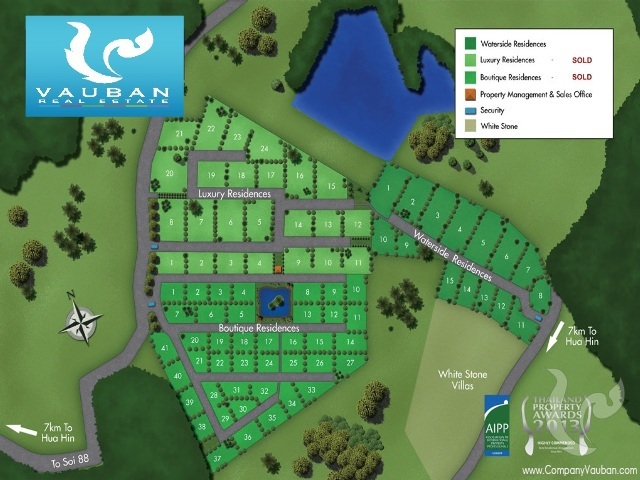 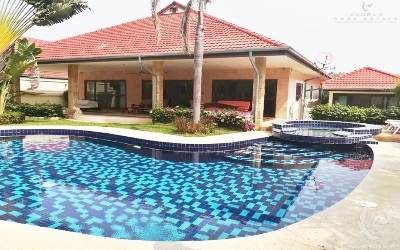 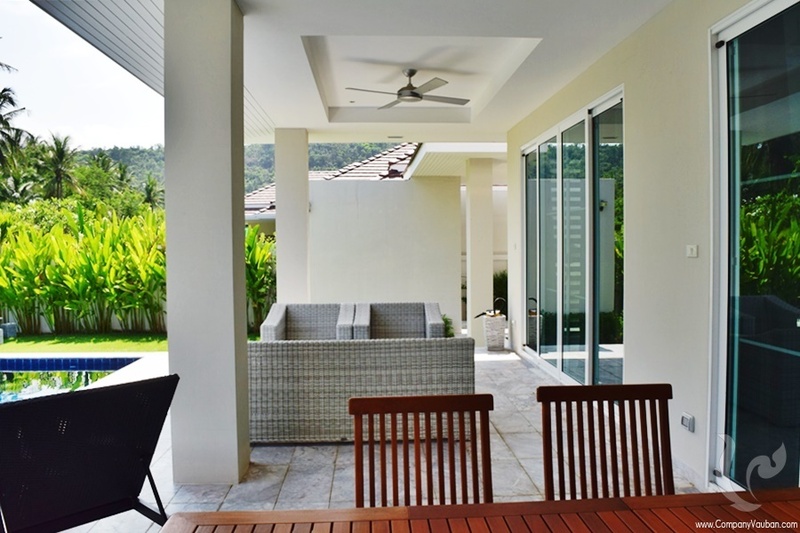 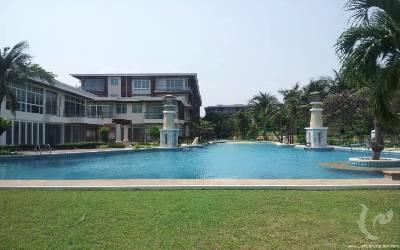 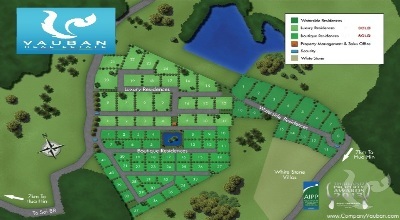 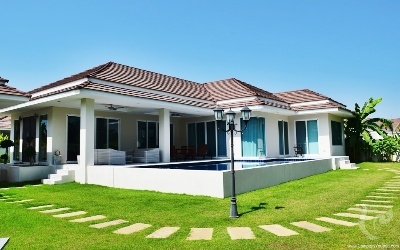 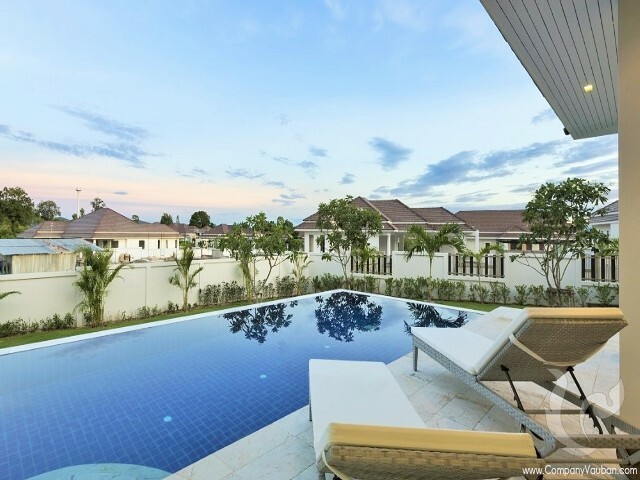 Good location between 2 famous golf course in Hua Hin (Banyan and Black mountain golf course). 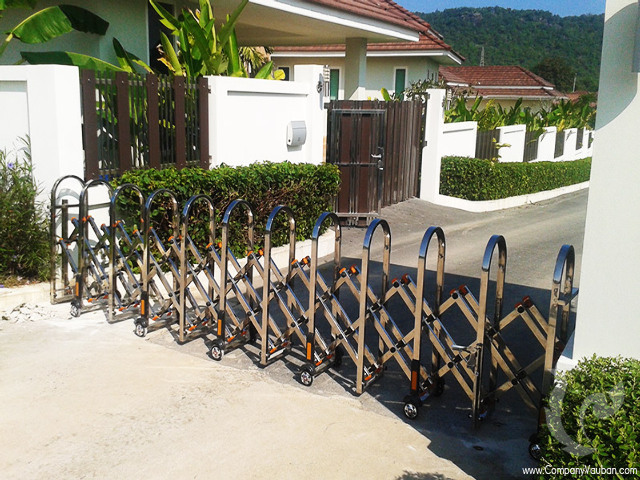 Travel just 12 km. 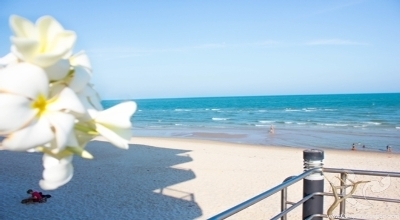 from downtown or 10-minute drive by car. 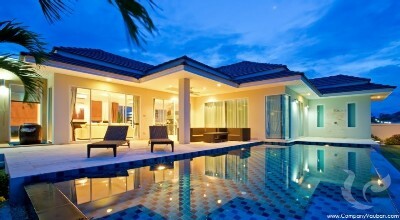 There are Thai - European restaurant and the local convenience store around the area. 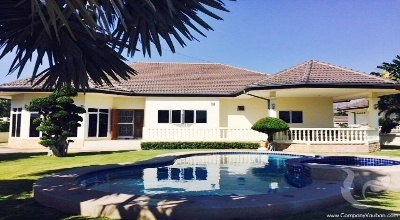 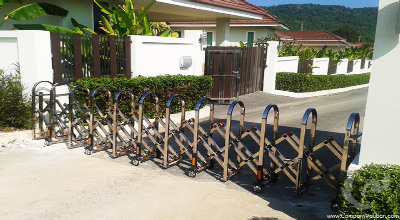 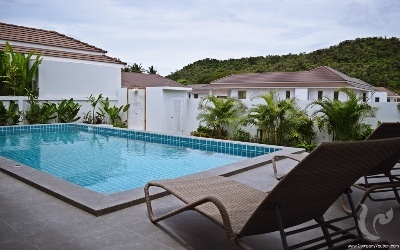 The rental is 55,000 THB for low seasons and 60,000 THB for high seasons.